LIFE as a bank teller was not Rondelle Douglas’s dream. She loved to draw as a child. When events took a challenging turn (divorce) the mother of three decided to return to Victoria and rediscover those drawing skills. 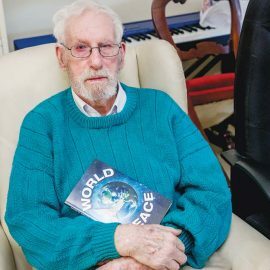 “I was always intrigued by illustrations for stories and articles in magazines,” Ms Douglas, now living at Dromana, said. “So, in 2011, I enrolled at Chisholm Frankston for a Diploma of Visual Arts, Illustration”. 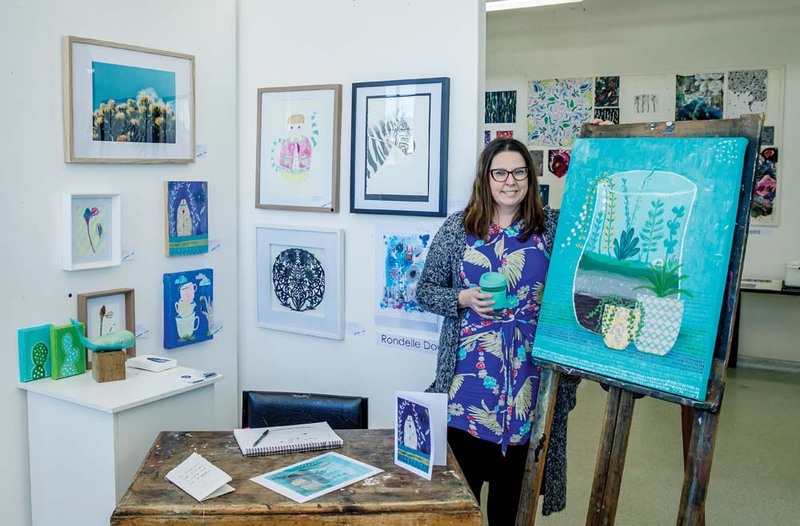 She set up a business – Rondelle Designs – using her vibrant and quirky artwork for affordable prints and greeting cards, and also having her designs printed on fabric for wheat bags and refreshing eye bags. Then she moved into jewellery design and fabrication. These items are sold to shops, online via Etsy, and at markets. Ms Douglas currently has 22 outlets stocking her work. One of her main focuses is to ensure minimal impact on the environment, with as little packaging as possible, eco-friendly inks and recycled papers. Ms Douglas is back at Chisholm for an advanced diploma in Visual Arts to brush up her skills. “I would recommend Illustration for anyone who loves to draw and wants to move into a more creative arena,” she said. “The opportunities are enormous for illustrators, for book covers, CDs, advertising and I’ve recently submitted a design for a wine label competition. “The course is very flexible and can be done part time as I am doing again”. To inquire about Visual Arts and Illustrations courses call 1300 244 746.